I am again delighted to share more world changing work by my friends, Tad and Dianne Taube. 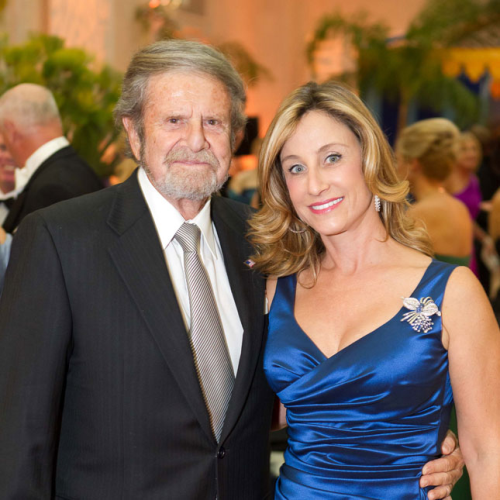 This month the El Camino Hospital Foundation announced that Tad and Dianne Taube and Mary and Doug Scrivner have committed $10 million to benefit mental health and addiction services at El Camino Hospital. These donations are some of the largest single gifts ever made to the El Camino Hospital Foundation. The $5 million Taube donation will secure naming rights for the hospital's new mental health and addictions building, to be named the Taube Pavilion. The $4 million Scrivner donation will be added to the After-School Program Interventions and Resiliency Education® (ASPIRE) endowment the couple previously seeded with a $1 million challenge gift in 2015. It will be called the Mary and Doug Scrivner Endowment for Adolescent Mental Health Innovation. I'll add that for more than 30 years, Taube Philanthropies has been a leader in supporting diverse educational, research, cultural, community, and youth organizations in the San Francisco Bay Area, Poland, and Israel. Founded by businessman and philanthropist Tad Taube in 1981, and now led by Tad and his wife Dianne Taube, the organization works to ensure that citizens have the freedom and opportunity for advancement of their goals and dreams.